NAM26 will have three award lectures, and numerous keynotes spread among eight parallel oral sessions. Three evening poster sessions will encourage further interaction among researchers, while also seeing the exhibits and having a refreshment or two! 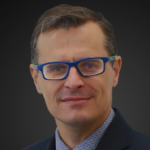 Javier Pérez-Ramírez, recipient of the 2019 Paul H. Emmett Award in Fundamental Catalysis, recognizing the design of innovative catalytic processes to address energy, resource, and environmental challenges. Hai-Ying Chen, recipient of the 2019 Eugene J. Houdry Award in Applied Catalysis, recognizing outstanding contributions to advancements in catalyst technologies and science for diesel exhaust emission control. 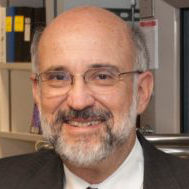 Enrique Iglesia, recipient of the 2019 Michel Boudart Award for the Advancement of Catalysis, recognizing and encouraging individual contributions to the elucidation of the mechanism and active sites involved in catalytic phenomena and to the development of new methods or concepts that advance the understanding and/or practice of heterogeneous catalysis. This short workshop will focus on kinetic models and will consist of modules. First, the fundamentals of microkinetic models will be discussed. This will entail description of inputs and outcomes and will cover topics such as reaction network generation, estimation of kinetic model parameters from both first principles and semi-empirical methods, descriptor-based microkinetic modeling for catalyst discovery, model analytics, and complex kinetic model reduction for integration with computational fluid dynamics (CFD). Second, available software will be reviewed, such as the pMuTT (https://pypi.org/project/pMuTT/) for parameter estimation, and hands-on examples of microkinetic models and analyses will be demonstrated. Third, the exploitation of experimental data for parameter estimation or refinement will be covered. A brief mention of how machine learning can be used in microkinetic modeling and the extension to kinetic Monte Carlo methods will be touched upon. Developed by the Core R&D Reaction Engineering group of The Dow Chemical Company and designed for chemists and engineers who operate or use data from laboratory reactors, this workshop contains fundamental reaction engineering knowledge essential for generating high quality data from a laboratory scale reactor. The workshop content includes general principles and practical tips for designing and operating laboratory reactors. The bulk of the workshop content focuses on stirred tank and fixed bed reactors for a variety of reaction systems, including homogeneous liquid phase, gas-liquid, gas-solid, liquid-solid, and gas-liquid-solid systems. At the end of this workshop, chemists and engineers will have a better understanding of the critical factors affecting the performance of laboratory scale reactors and the appropriate means for addressing those factors to maximize the probability of generating quality data. During this workshop, the instructors will introduce a publicly available tool for estimating gradients in heterogeneous catalyst particles and for sizing laboratory fixed bed reactors. This tool is the product of a collaboration between Dow and Purdue University. (i) An introduction to XAS and the information content that the technique provides. (ii) Details of sample preparation and experimental pitfalls. (iii) How to collect an XAS spectrum – including what is a beamline, what detectors should be used, and how to set up collecting a spectrum. We will collect XAS data in real-time for a metal oxide sample from a beam line at SSRL. (v) An introduction of some more advanced developments in XAS in synchrotrons around the world. Due to the allotted to this workshop we do not have time to delve deeply into data analysis or any one particular topic and we recommend this workshop for those interested in learning about XAS or those just starting to use XAS in their research. There are many week-long EXAFS schools that serve this purpose. (i) Benefits and Challenges Overview of the capabilities and limitations of Computational Catalysis with focus on realistic expectations of the accuracy, types of problems that can be studied, and time frames necessary to obtain meaningful results. The role of Computational Catalysis in today’s industry landscape is also discussed. (ii) A brief introduction to the underlying methods, approximations and algorithms used in multiscale modeling of catalytic reactions: Ab initio quantum chemical wave-function and density functional theory methods, Monte Carlo and molecular dynamics simulations and descriptor-based catalyst screening. (iii) An overview on the application of these methods to catalytic reactions over metals, metal oxides, zeolites and other materials will be given. (iv) Hands-on guided tutorials will be given to demonstrate the use of first principle quantum chemical methods to gain fundamental insight into surface phenomena in heterogeneous catalytic reactions. This workshop will introduce the essential concepts and practical aspects of transient kinetic experiments with an emphasis on their use for applied as well as fundamental research in catalysis. Transient, or non-steady-state, techniques are powerful tools that provide rich information about the interplay of different reaction steps on catalytic surfaces and how these surfaces evolve under the influence of reaction conditions. We will discuss several prominent transient techniques which are grouped based on the primary transport process that they employ to measure the kinetics: convection (SSITKA, CTK) or free molecular flow (TAP, MBS). The transport regime determines the range of accessible pressures and contact times, thereby delineating the scope of questions about catalysis that can be addressed. We will highlight the unique characteristics available from each category of techniques, such as the state-defining snapshots of reaction kinetic that are provided by TAP or the total concentrations of surface species under steady-state operation that are readily measured with SSITKA. Finally, we will present the cutting edge examples in which kinetics was used to reconcile results from model studies under low pressures with industrially-relevant operating conditions. Emerging opportunities for research and technology development are reinvigorating the field of catalysis. Our community is evolving rapidly to address these new challenges, answer long-standing questions, and explore recently discovered phenomena. Consequently, this is a critical time for us to convene in order to discuss the attributes that have defined the past and present of our field, and determine how to help maintain the quality and integrity of our science in the future. Join our panel of seven experts, with a diverse set of perspectives, as they lead an interactive discussion on best practices in catalysis research, new opportunities, and potential threats for our community. This panel will foster an open discussion with the audience, and we will appreciate your comments and questions. All are welcome, and early career researchers and students are particularly encouraged to attend. Please pre-register to attend this panel while completing your conference registration, as seats are limited for this complimentary event. Poster Restrictions: Due to space constraints, posters can be no larger than 48” wide by 48” tall (121 cm x 121 cm). Posters must be put up by 5:15 pm on the day of your poster presentation (can be put up as early as 11:30 am) and must be taken down at 8:00 pm the same evening. All posters must be placed at the poster board with the number corresponding to presentation number in the final program.